A new film depicting the early life of John Lennon is to be made, based on a book written by his half sister Julia Baird. 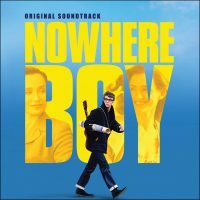 Matt Greenhalgh, writer of the Bafta-winning Ian Curtis biopic Control, is behind Nowhere Boy, which has received backing from the UK Film Council's development fund for established film makers. When looking for my next project I was wary of musical protagonists – but when John Lennon was floated, that vanished. He is beyond music; above it even. And his early life as told in Julia's book took me into a world that illuminated so much about this legendary genius. I could see the drama and film immediately. The women in his life, the men who weren't, the birth of rock 'n' roll; all imposing on a brilliantly complicated adolescent mind. The nagging questions, the icy secrets, the need for love. John's angst and anger pouring out into his music, his thankful salvation. Without this story we would never have heard the Beatles – can you imagine that? Julia Baird was born in 1947 to John 'Bobby' Dykins and Julia Lennon, John Lennon's mother. She has written two books about him: John Lennon, My Brother (1988), and Imagine This: Growing Up with My Brother John Lennon (2007).